It feels as if all I have shared on this space lately are posts about skincare, I'm sorry! I'm obsessed! I recently made my monthly pilgrimage to Brooklyn and it doesn't help that when I go there I usually see my friend Abbey and we are both pretty big skincare fanatics. Naturally when I introduced her and her boyfriend Hondro to the MUJI Store in Williamsburg we (meaning Abbey and I - Hondro kept himself busy with all the paper goods) spent quite a bit of time by their skincare section. Given that I've been trying to commit to only using cruelty free products sometimes trying something new can be a bit risky. 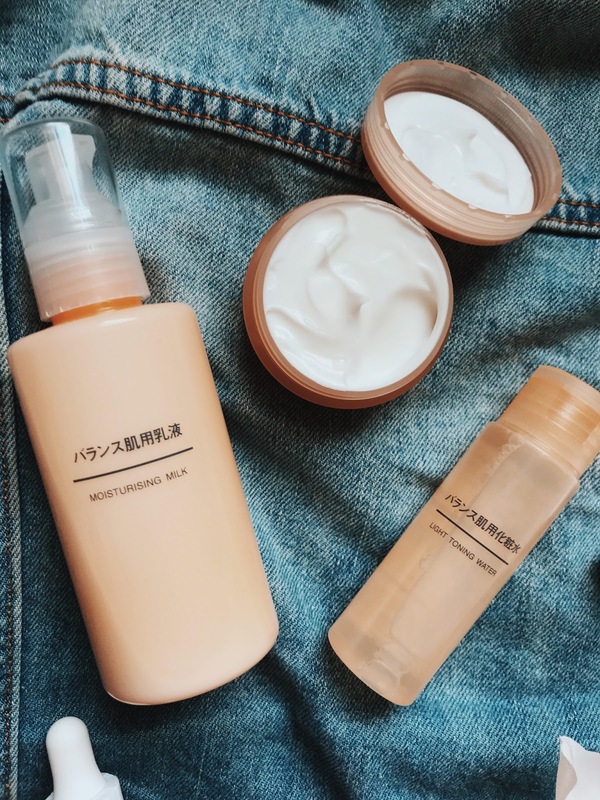 I did a little digging and was able to find through their Facebook that MUJI Japan does not "perform animal testing on any of its products. 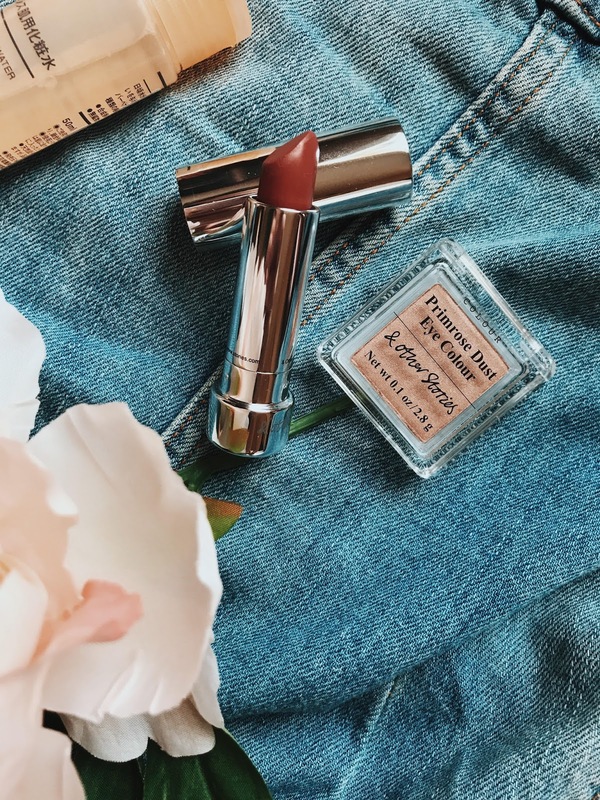 This also includes the manufacturing facility for our cosmetics ranges, and the laboratories attached to them" For this I am thankful because not only do I love the simple, minimalist packaging but also the few products I picked up not to mention the price). Abbey and I immediately fell in love with the Moisturizing Milk/Lotion. It's extremely silky and hydrating which left our skin feeling amazingly soft. Despite it's liquid-y texture it didn't leave behind a sticky feeling but did take a bit to sink in, however once it did it was such a dream. For years now I've been on the hunt for a moisturizer I love. 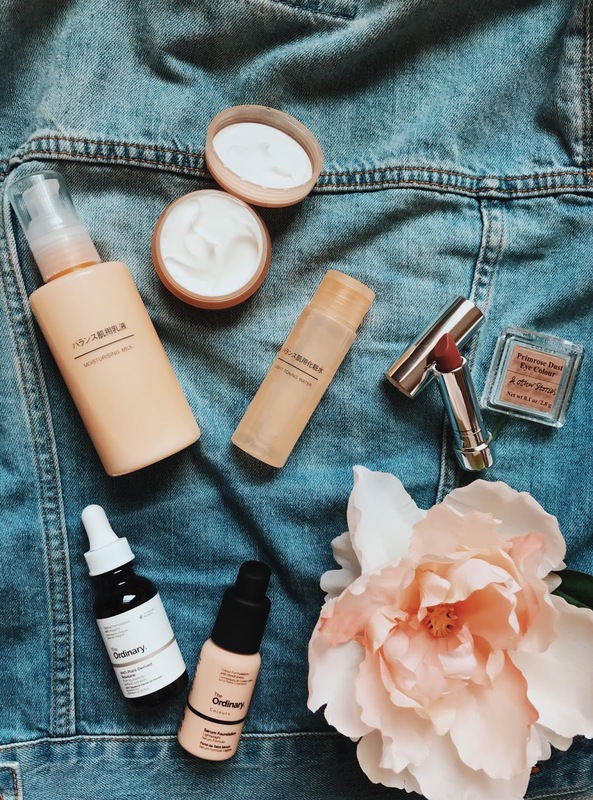 I've been using Glossier's Priming Moisturizer and while there's nothing wrong with it, it simply isn't what I'm looking for. I picked up MUJI's Moisturizing Cream in the hopes that it is "the one". MUJI described this to be used AFTER the moisturizing milk to really seal moisture in and keep skin soft. Lastly I bought their Light Toning Water. I actually have never used a toner... and felt like maybe I should give it a go. I went with a smaller travel sized version of this just in case I wasn't thrilled. I mentioned to Abbey about my woes with foundations and coverage. While I still like Glossier's Skin Tint I did want something with a little less shear, in the same consistency, that lasted throughout the day. Abbey suggested The Oridnary's Serum Foundation which I have been curious about but hesitant to buy since I wasn't sure what my shade was. Luckily there is a brick and mortar shop in Soho so I was able to swatch and buy the right shade! (1.2P if you're wondering). I do really love it, it's incredibly light, feels weightless on my skin and doesn't look like I'm wearing anything at all. I also picked up their 100% Plant Derived Squalane - I've been pretty obsessed with my Biossance's 100% Squalane Oil sample and have been wanting to buy a full size but honestly, the price has been scaring me off. 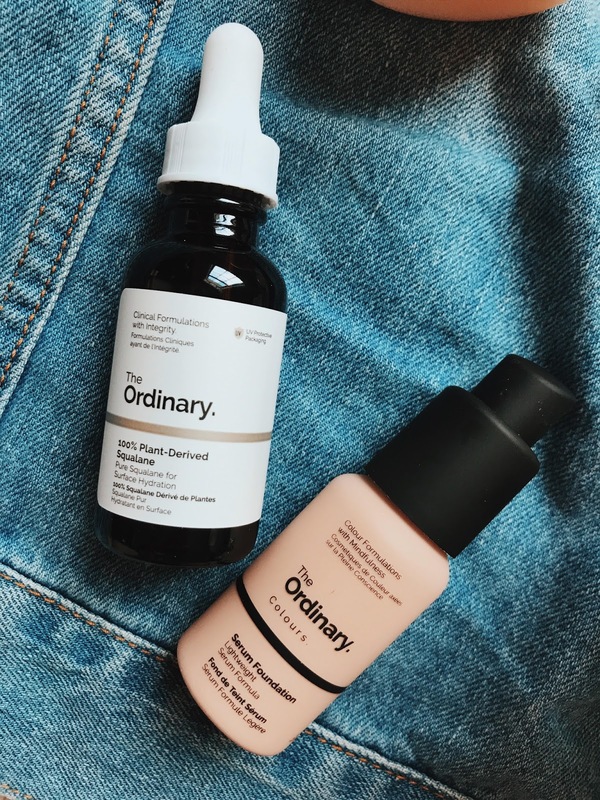 I'm hopeful that The Ordinary's Squalane delivers similar results because the price point is ideal. Lastly some beauty bits from & Other Stories. I've been obsessed with their packaging since I wandered into their store when in London a few years back. It's not pictured but I knew I really wanted to buy one of their Body Souffles... I just had to figure out what scent was my favorite. Sardonyx Fire was exactly the scent I was looking for. A mix of amber, vanilla and bloom. I want to buy the whole collection. Do you have anything from MUJI, The Ordinary or & Other Stories? Favorites? Misses? Let me know! I'm always up for trying something new!